Born to a Native American mother and a Black father, Martha Redbone spent her upbringing in Kentucky and New York. Her unique roots would later shape her commitment as an artist to bring more awareness and understanding of her cultural identity. In fact, Redbone has been working as musician since 1998 and has developed a genre that combines blues, folk, and Choctaw traditions, all of which is inspired by her heritage, multicultural background, musical family and childhood experiences in Brooklyn, where she was exposed to hip hop in the 1980s. "The music that we do is American music. And it’s cultural; it has a cultural theme and a cultural message. It’s not necessarily what one would consider mainstream Top 40 pop. But it’s a mix of American blues, folk, Choctaw, Native American songs." Martha Redbone identifies as an indie artist who is committed to a grassroots approach when it comes to sharing her music. In doing so, Redbone feels she is able to create culturally themed music with meaningful messages pertaining to identity and race. This became particularly important as she began touring around the country and witnessed her rare position as a Native American female musician. "In my music journey I realized people didn’t understand who we were. There was misinformation and blatant lies based on who we are as people. Things that people are taught in school that are wrong…. People are addicted to the phenotypes. Your examples are only going to be what you see on TV and the movies…. I felt it was my responsibility to teach people what it is to be Native American today. I’m not trying to be a preacher but introduce a different way of looking at things. Hopefully when people see and meet me [they will] ask more questions. We want to open a platform for discussion. " Despite their grassroots approach, they needed more professional guidance. By performing at this flagship, the band was connected with an agent. "Before globalFEST, we did our own bookings, which is really difficult. We didn’t track records or make much money. We didn’t have relationships with the places we wanted to play. When you don’t have the big record company machine behind you, you still need someone to represent you to make you competitive to your peers…When we did our showcase at globalFEST, we ended up with a booking agent." 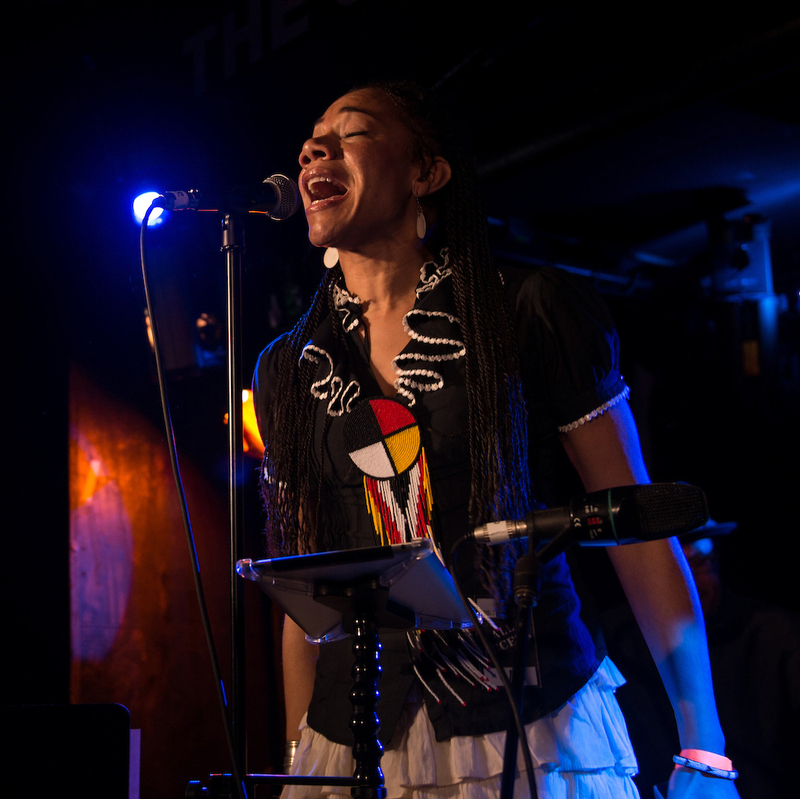 Martha Redbone applied for the Touring Fund following her globalFEST debut in 2013 to secure funding for a tour traveling up the west coast and Canada. It would be a struggle to cover the travel expenses of getting the five-piece band over and along the west coast. But the band received a $2,500 grant from the Touring Fund, helping to make this summer 2013 tour possible. Redbone has highlighted the extreme costs of traveling and that the financial help she received from globalFEST since participating in the flagship has given her band opportunities for mission-based touring otherwise inaccessible to them. When asked if being involved with globalFEST led to envisioning new goals as an artist, Martha Redbone replied: "No. I have the same dreams to be an indie artist and perform in front of indie audiences. If anything, globalFEST has helped make possible what was impossible before."